I'm trying to think of something similar in vein. Fight Club comes to mind. Epiphany moment that rattles an individual out of their self loathing career, moving towards criminality. First two seasons of weeds was cool, then it flattened. Quick question: Have you guys seen The Wire (2002). I have read a lot of rave recommendations for that show..
^ Just finished The Wire recently. It's very good. Found it funny the last season has the actor who plays Gale and he's pitted against a man named Gus. Don't watch if you're not caught up. Major spoilers. The Wire is one of the best shows ever made, hands down. It's honestly essential viewing for any human being. Having said that, The Sopranos is still my favorite show, followed closely by The Wire and Breaking Bad. Potential additions to that pantheon are Boardwalk Empire and Game of Thrones, both of which have been amazing. 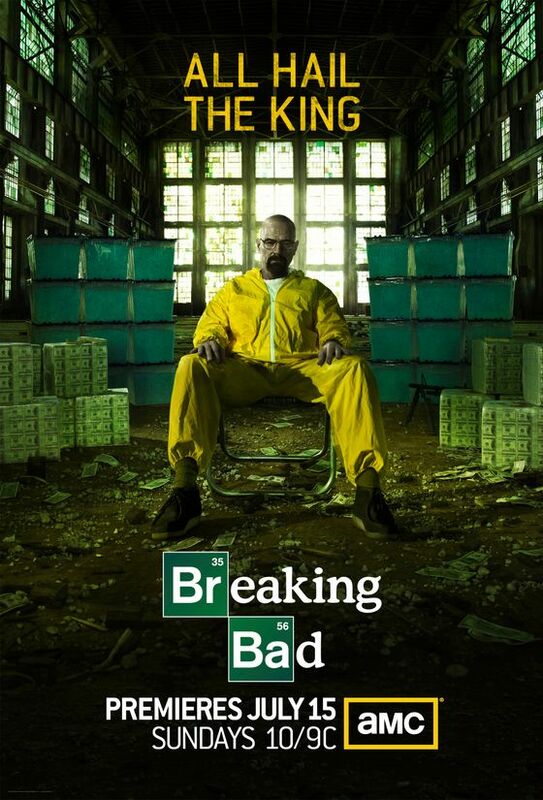 Breaking Bad one of my favorite TV show because i like action shows. Breaking Bad chemistry is amazing & i really i like this serial story. Interesting part of this show all about story on chemistry teacher. I never missed the episode for this serial. Because i like to watch this. Last edited by NickWills : 08-06-2012 at 06:51 AM. i really i like this serial story. Now, who's job is it to remove the spammers. They're taking over! So I read something tragic, that season 5 starting this summer, will only be half of the season, like 7 or 8 episodes, and the rest will conclude in 2013!!! Rotten meat between two slices of meth. Yum. Damn. So I guess Todd wasn't under cover after all. Or he's just really committed. That was awesome, Walt's reply to Skyler's query, "burying bodies?" It did seem odd the way Todd preemptively took action without a questioning glance to either Walt or Jessie.